Improve consumer goods performance by improving manufacturing equipment with TotalSim. Solve your most complex Consumer Goods engineering challenges by tapping into the applied expertise of TotalSim. By using computational fluid dynamics (CFD), TotalSim analyzes your production line machinery and product workflows from a fluid and thermal perspective to identify opportunities to enhance effectiveness and efficiency. We start every consumer goods project by understanding your challenges and desired performance benchmarks. We then use CFD to virtually assess machine performance and analyze any existing fluid and thermal problems. Based on the outcomes of our analysis, you will receive design recommendations to improve machine efficiency, reduce machine failures, and speed up the production process. We can either assess your production line in its entirety or focus on a localized part of the process to improve production line process and machine efficiency, resulting in more output. 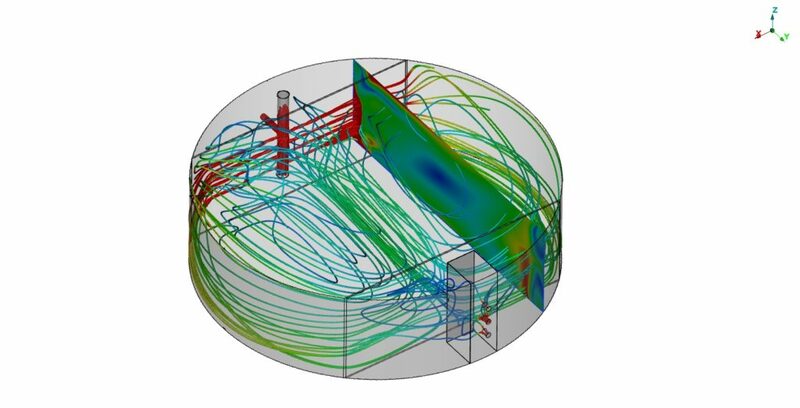 Depending on your needed assessment, we use a variety of physics models during simulation, including conjugate heat transfer, Lagrangian particle tracking, discrete element modeling and fluid structure interaction. No matter how complex your challenge, we will help you tackle problems that other engineering firms find daunting, by leveraging our experience and custom development software capabilities. No matter your consumer goods product, rely on TotalSim to help you turn your efficiency and quality goals into reality.